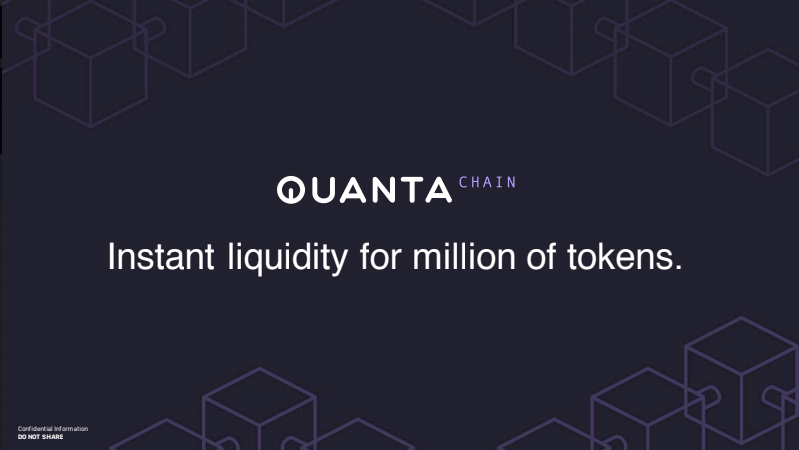 QUANTA Chain, a public blockchain infrastructure has launched to unlock instant liquidity for millions of tokens, and address the poor scalability potential of existing blockchains. 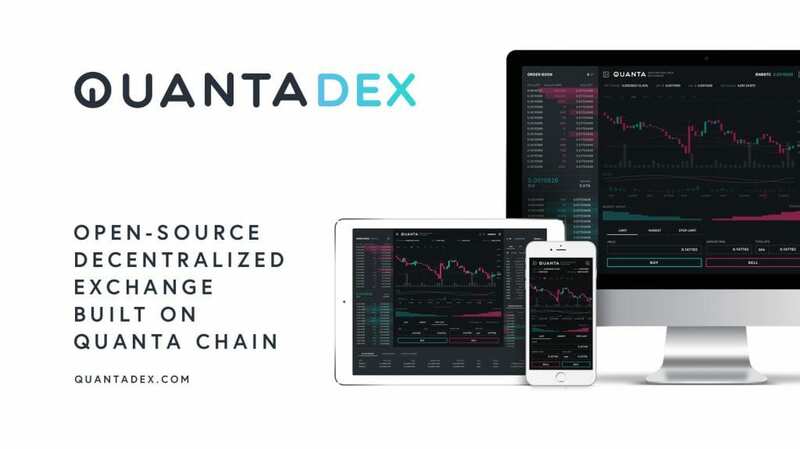 This release precedes QUANTA DEX, the first truly de-centralized exchange, creating a fast, truly trustless asset exchange for real time trading, with under 1 second latency. With more than 99% of all transactions today in the blockchain industry occurring over exchanges, bitcoin, the de facto leader in cryptocurrencies, only makes up for 37% of the USD 250 billion plus market. This may seem a significant amount, but only due to the fact that this is one currency against thousands. While current trends show beyond all doubts that Bitcoin and Ether will remain the industry leader for at least the foreseeable future, it is the vast pool of tokens that will constitute a bigger share of the market since unlike the top two cryptocurrencies, they offer real world applications tied to them. With exchanges dealing in virtually all transactions, they are becoming more and more central in the proliferation of tokens and coins. Centralization: Even with DEX, there exists a centralization issue. Modern DEX work with two books. A ledger and an order book. General Ledgers record movement of assets from one wallet to another only. While order books match buyers and sellers off chain. This has created a widening input/output challenge. Some exchanges, such as 0x have achieved success with off chain order books which eventually connect with on chain settlements, but with limited success. Slow Speed: DEX actually create three steps to fulfill an order. They must first pair smart contracts, then connect buyer and seller with off chain order books and eventually bring it all to an on chain settlement. This creates unnecessary steps that actually bog down the exchange’s speed. These bottlenecks actually bring liquidity issues and increase volatility. These multiple steps also lead to a higher cost of transaction. Limited Liquidity: The use of off chain order books in DEXs leads to fragmented trust. This further leads to fragmented liquidity. Another issue is the different blockchains. With so many tokens running on Ethereum, NEW and EOS, the result is a heterogeneous ecosystem of non-interoperable blockchains. This is why nearly all cross chain traders occur in CEX, rather than DEXs. 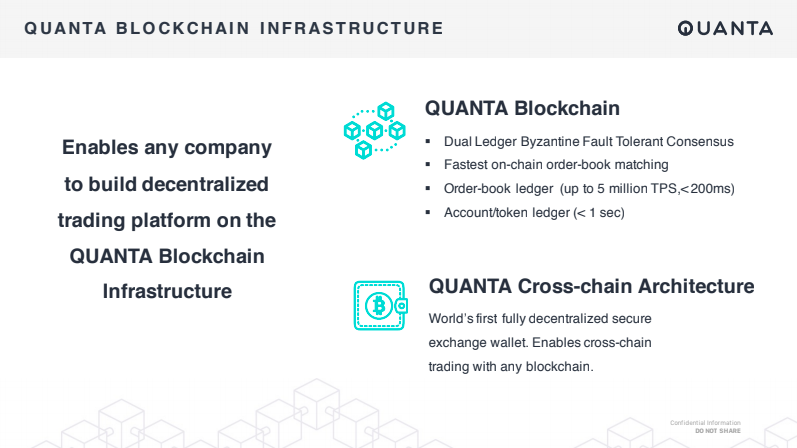 Understanding that without addressing the three aforementioned issues, the current problem in the blockchain trading community cannot be solved, was the key driver for Quanta’s approach to creating a trading platform that was quicker, faster and interoperable. Distributed Memory Ledger: Instead of having an off chain order book that creates settlements with the on chain ledger, the specially designed system has distributed memory ledger an a separate general ledger for settlements. 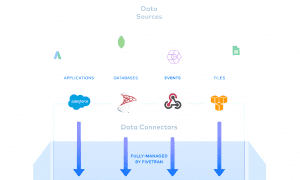 In this model, the Quanta public blockchain forms a P2P mesh network of distributed memory pool and order books are logically hashed and stored using distributed hash table (DHT). This covers the gap of having two different, totally disconnected books and speeds up the orders and settlements. Dual Ledger Byzantine Fault Tolerant Consensus: While distributed memory ledger pools do push for a faster and scalable order book that speeds up order matching and execution, it must be protected by a secure and immutable blockchain infrastructure. Quanta uses a variant of the Byzantine Fault Tolerant Consensus mechanism which does not need a lot of computing power, even for the distributed and dual ledger mechanism. This type of consensus is fast and can be done through ordinary computers, speeding up the process of confirmations on the blockchain. Cross Chain Architecture: With DEXs, the biggest issue in trading is that these exchanges are working on one blockchain and inter chain transactions are just not possible. Centralized exchanges to solve this problem, but then that defeats the whole purpose of decentralization. Quanta’s blockchain is a truly interoperable blockchain that allows trading of tokens across chains without any sort of modifications required. The Quanta chain achieves this by creating cross chain wallets that can participate in a number of blockchain ecosystems and the same consensus process. Through these, Quanta Chain effectively creates an ecosystem that is truly holistic in terms of interoperability and thus allows for any and all kinds of tokens to be traded from a single platform. Fifteen times more faster than the Ethereum blockchain, Quanta Chain has recently gone live and with its faster speed and scalability, it offers a transaction confirmation of less than a second. 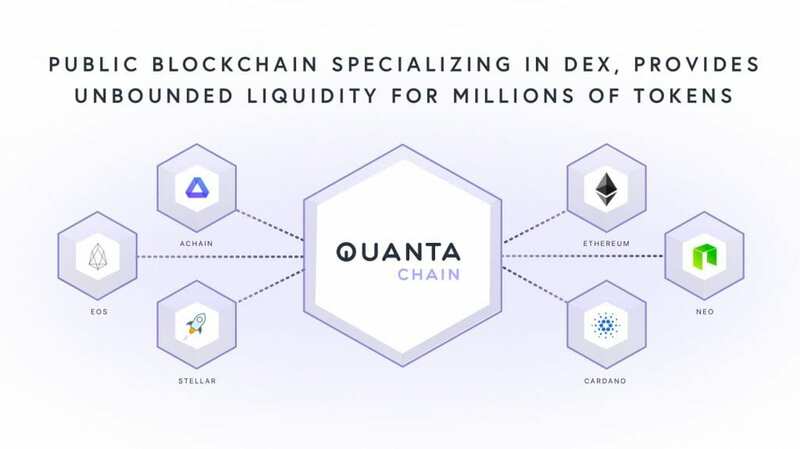 Using the Quanta Chain as its backbone, the Quanta DEX will be launched in December this year. The trading platform will bring a revolution in the trading of cryptocurrencies and eliminate the need of centralized exchanges, at the same time offering security, speed and interoperability that decentralized exchanges fail to deliver.